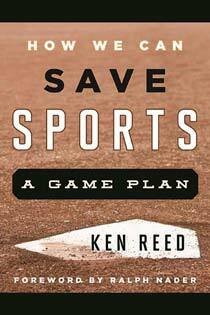 League of Fans’ Reed Talks College Athlete Compensation on WPR It’s Baffling That Schools Continue to Cut P.E. At the time, there were fears that Williamson had suffered a serious injury, one that might negatively impact his NBA future and livelihood. Fortunately, Williamson recovered and is now starring in the NCAA tournament. Nevertheless, the high profile shoe malfunction stirred the debate once again regarding what is fair compensation for college athletes who bring in millions of dollars to their schools. Why don’t we just finally accept the fact that big-time college sports are a reality? College sports, at the highest level, are a huge entertainment industry. One only needs to watch the NCAA men’s basketball tournament, or read about the latest billion-dollar media rights deal for a college athletic conference, to realize that we’re not simply talking about extracurricular sporting activities for students here. As such, any serious college-sports-reform effort must address the prevailing economic injustice. 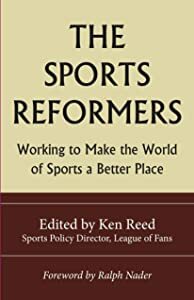 The hypocrisy in college athletics today is the result of an untenable system that promotes the amateur myth and tries to suppress the fact that the young athletes that fill the seats at football stadiums and basketball arenas on our college campuses have significant market value. “The plight of college athletes is definitely a civil rights issue,” says civil rights historian and author Taylor Branch. Nancy Skinner, Democrat majority whip of the California state Senate has introduced Senate Bill 206, also known as the Fair Pay to Play Act, in the California State Legislature. Under SB 206, college athletes would be allowed to receive compensation in a way that’s similar to what Olympic athletes can receive. In other words, college athletes would be allowed to benefit from use of their names, images and likenesses, like every other student at our colleges and universities (and basically, every other American for that matter). In essence, they would be allowed to ink corporate sponsorship and endorsement deals. 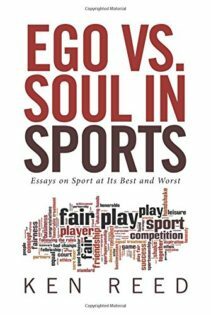 “Is it so ignoble for a college athlete to make money off his her talent and fame?” asks sports and culture writer Patrick Hruby. Most of the focus of the “Should College Athletes Be Paid?” debate has centered around big-time college football and basketball players. But elite athletes in the so-called “minor” sports can be impacted too. Four-time gold medal winner Missy Franklin chose to swim for the Cal-Berkeley swim team instead of turning pro after her Olympic heroics. While at Cal she suffered back problems and never regained her top form. Because she was banned from taking a corporate sponsorship deal while at Cal she lost a lot of money that sponsors were willing to pay her at her peak. Recently, in a mixed ruling, a federal judge, Claudia Wilken determined that amateurism rules barring payment beyond scholarships and basic costs of education violate antitrust law. However, elsewhere in her ruling, she wrote that while NCAA athletes should be allowed to receive more compensation, it should be limited to benefits “related to education,” e.g., postgraduate scholarships, tutoring, study abroad, etc. Admittedly, developing a system in which athletes are put on a university’s payroll (and all that would likely entail, e.g., worker’s compensation, player unions, Title IX ramifications, etc.) would be a complex endeavor. But allowing athletes to be paid by a sponsor to appear in an ad campaign, or simply to be paid to sign autographs at a local auto dealer for a couple hours, is pretty straightforward. Why does this whole issue have to be so complicated? The Olympic model is the quickest and easiest way to more fairly compensate college athletes. It’s not the complete solution but it’s a great start. The Olympics dumped the amateur myth and allowed athletes to make money from their athletic ability and fame. And guess what? The world didn’t end! In fact, the Olympics are more popular than ever.